Wear your love of Twilight on your sleeve — or rather, your wrist! 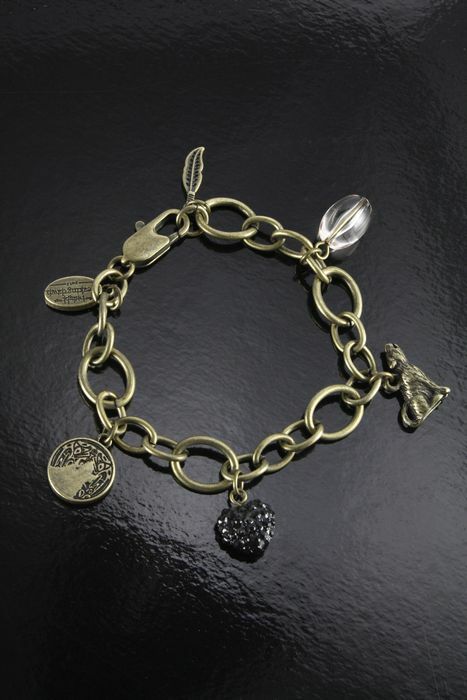 This Breaking Dawn Part 2 bracelet features a collection of Jacob-themed charms, including a wolf, feather, tribal tattoo medallion, black jeweled heart (get it, “Black” jeweled heart?) and more. Metal link chain measures about 7.5″ and closes with a lobster clasp.